If there’s one director who cornered the market in iconic images, it’s old Uncle Alfred. Hitchcock had an eye, my friends, which is why Vamity Fair have used some of his most iconic shots as inspiration for their latest Hollywood spread. Above us Marian Cotillard recreating Psycho, then Gwinne and RDJ dressed to kill for To Catch A Thief. 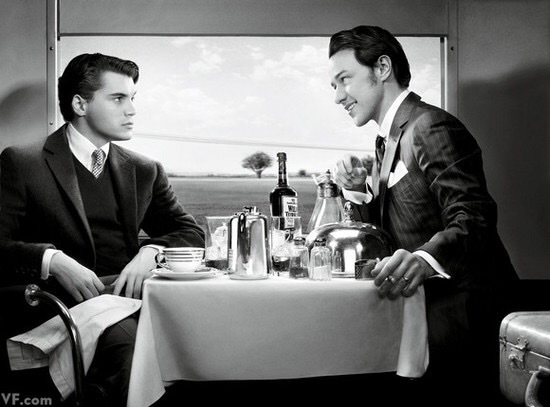 I don’t know about you, but I’d pay Mad Chedda to see that Hirsch/McAvoy reboot of Strangers On A Train. Take a look at all the shots over on Vanity Fair. Who wears Hitch best?